Speedway Safaris welcomes to Uganda. Enjoy Uganda Safaris and Tours that include Gorilla Trekking in Bwindi Impenetrable Forest and Mgahinga National Park. While on Gorilla Safaris in Uganda, you will get a unique wildlife experience with the endangered primates. Enjoy Uganda Gorilla Tours and Safaris as you explore all the national parks in the Pearl of Africa. With our Gorilla safaris, we take you to all the gorilla national parks as well as other tourist destinations in Uganda, Rwanda and Congo. 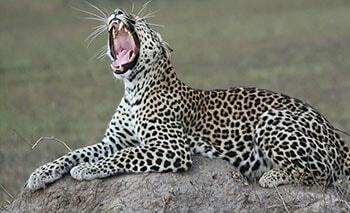 At Speedway Safaris, we pride ourselves in organising the best safari tours in the region. On this website, we give you consistent details about gorilla permits as well as safari bookings, the tracking costs plus trekking rules and regulations. Once you contact us, we are able to secure permits for trekking gorillas in Uganda and Rwanda’s Volcanoes National Park. We always confirm gorilla permit availability in Uganda to our clients before the make any safari bookings with us. Book a permit for tracking of any of the gorilla groups. With our trips, we recommend to you on the best time for gorilla trekking and what to pack for the safari adventure. 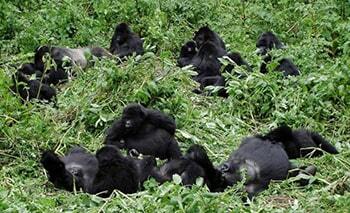 Our best gorilla safaris include 1 day, 2 days and 3 days gorilla safari tours. The 3 days tours may start from Kampala/Entebbe or from Kigali in Rwanda. Since Bwindi and Mgahinga in south western Uganda are near Rwanda, most of our trips are Uganda gorilla trekking safaris from Kigali. 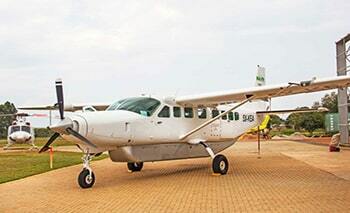 The gorilla safari by taking a flight from Entebbe to Bwindi (landing at Kihihi or Kisoro Airstrip) is also a vacation expereince on our safari menu. Book a 3 Days Gorilla safari to Bwindi Impenetrable National Park. Coming face to face with the endangered species is a lifetime expereince in the jungle. Fly from Entebbe Airport to Bwindi Forest for gorilla trekking tours. 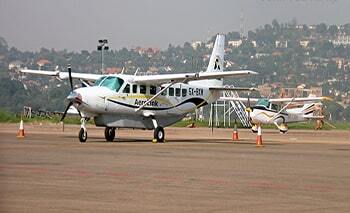 Fly to Bwindi on day 1, trek gorillas on day 2 and fly back on day 3 to conclude this luxury gorilla tour in Uganda. Enjoy Mountain gorilla habituation experience in Bwindi forest where you will spend 4 hours with the endangered primates. A gorilla habituation permit is at $ 1500 per person. 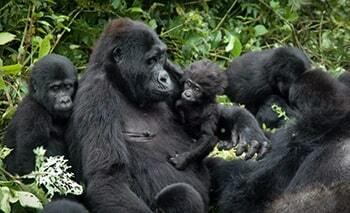 Uganda gorilla trekking from Kigali is part of our major thrilling tour offers. Our driver guides pick you up from Kigali Airport or any Hotel in Kigali to begin a gorilla tour to Bwindi or Mgahinga National Park. Kigali is positioned nearer to the two gorilla parks in Uganda in south western side. Any safari in Uganda from Kigali may begin with a short city involving visiting the Genocide Memorial Museum or any attraction in Kigali. The driving distance from Kigali to Bwindi forest is shorter and amazingly charming. You will drive through the land of ‘Thousand Hills’ to the Pearl of Africa’s Kigezi Region characterized by beautiful rolling hills. Look through our safari packages below and choose what suits your travel preferences. Take 3 days of a gorilla holiday adventure to Uganda from Kigali to Bwindi and to Bwindi. Enjoy Kigali city tour and gorilla trekking and an amazing nature during the tour. 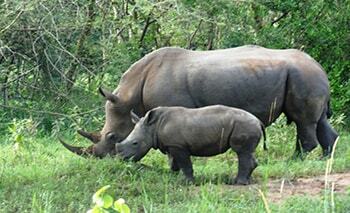 This tour is conveniently done in the south of Bwindi or Mgahinga National Park. Enjoy a 2 Days Bwindi Gorilla Safari in forests of Bwindi Forest. 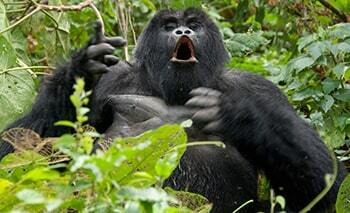 Bwindi forest is a habitat to Gorillas in Uganda. 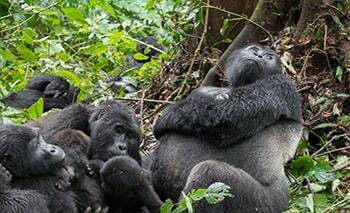 This is one of the budget gorilla tours in Uganda because of its short duration. Secure a Gorilla Permit and take pride in it. A 1 day gorilla trip to Uganda begins from Rwanda with a pickup in early morning and a drop in the evening. From Kigali, you drive to Bwindi Impenetrable National Park for an adventure. This package is among the budget gorilla trekking tours. Uganda Safaris and Tours – Get the best holiday Uganda safari deals in the budget, midrange and luxury categories at very affordable rates. Check out for vacation tour packages to all national parks, holiday destinations and tourist sites in Uganda. Apart from gorilla tours to Bwindi and Mgahinga forest, we take you to Queen Elizabeth, Murchison Falls, Kibale forest and Kidepo Valley National Park. Other holiday detinsations include Rwenzori Mountains, Mount Elgon, Semuliki and Lake Mburo National park. Are you thinking of Uganda safari tours, check out for attractions, best time to go, things to do and safari operators taking you there plus the itineraries. You will experience the most memorable tours in Uganda and Rwanda with Speedway Safaris, professional organizers for wildlife safaris and tours in East Africa. 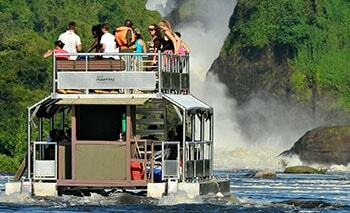 A 3 Days Murchison Falls Safari is an amazing holiday package for whoever is enjoying tours in Uganda. Activities during this trip include rhino trekking en route, a game drive and boat cruise in the park plus hiking to the spectacular Top of the Falls. Book a luxury Uganda Safari that entails flying trip to Murchison Falls National Park for a game drive, a baot cruise on River Nile and a hike to the magnificent Top of the Falls where you appreciate the fisnest nature. Expect lots of animals and birds. The 3 days Safari to Queen Elizabeth National Park includes a game drive in search of lions, elephants, leopards, bufalloes and many more. Enjoy a boat cruise on a spectacular Kazinga Channel & Chimpanzee Tracking in Kyambura Gorge. Enjoy 1 Day Trips from Kampala. Visit places like Jinja, Ngamba Island, Mabamba Bay, Zhiwa Rhinos, Lake Mburo, Mabira forest, Crocodile farm and Kampala City. 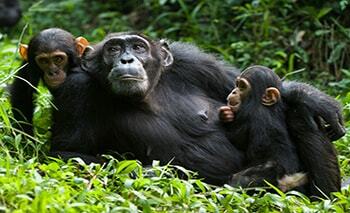 Enjoy Chimpanzee Trekking in Uganda by visiting chimp spots including Kibale Forest, Budongo Forest, Kyambura Gorge, Kalinzu Forest and Ngamba Island. Enjoy outdoor activities in Uganda which including, Rafting, Kayaking, Horse riding, Bungee Jumping, Boat Cruise, Biking, Clay Pigeon shooting, Ziplining plus many more. 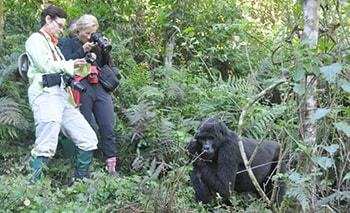 There are several Frequently Asked Questions about Gorilla Trekking in Uganda, Rwanda or Congo. Gorilla Trekking is a popular tour activity that many travelers enjoy in Africa. Gorilla safaris take place in Bwindi Impenetrable Forest and Mgahinga National Park in Uganda, Volcanoes National Park in Rwanda and Virunga National Park in Congo. 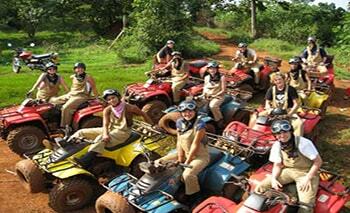 Tours to the mentioned park are some of the most prime safaris in the Great Lakes Regions today. Different potential tourists and researchers ask many numerous questions Gorilla Trekking at large and mountain gorillas in particular. As a responsible organizer of gorilla safaris in the region, Speedway Safaris has labored to enlist the questions on which relevant answers have been provided. To get answers to the Frequently asked questions on gorilla safaris, Read More.